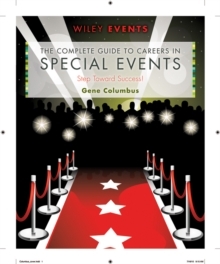 The step-by-step process in Careers in Special Events will help event planners showcase their skills. It shows them how to create a unique and creative approach with a proven plan. Industry professionals provide insight and advice on gaining the appropriate skills, making contacts, networking, and using knowledge to ace job interviews. Various Action Steps are featured throughout the pages, as well as exercises to reinforce concepts. The Practice Activity at the end of each chapter helps measure progress and identify areas of individual focus. Samples of cover letters and thank you notes in addition to dining etiquette when interviewing over a meal are also presented to give event planners all the tools they'll need to succeed.